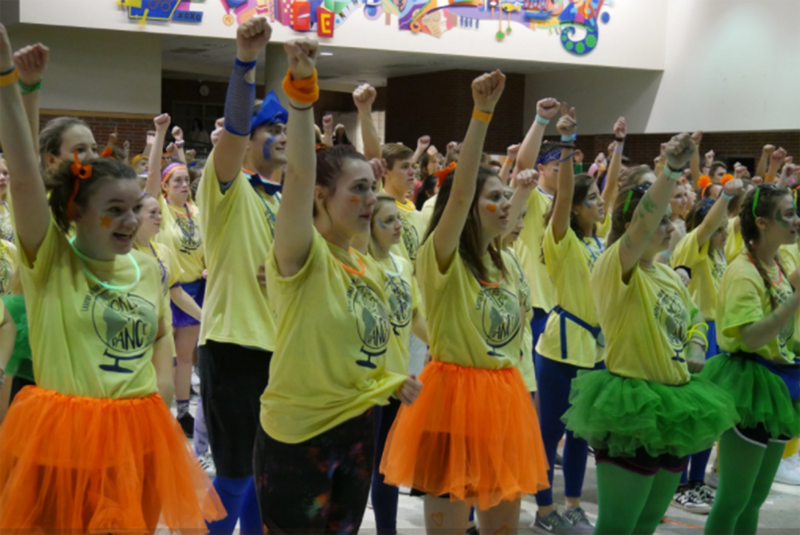 Carmel High School students show their moves during the Dance Marathon. 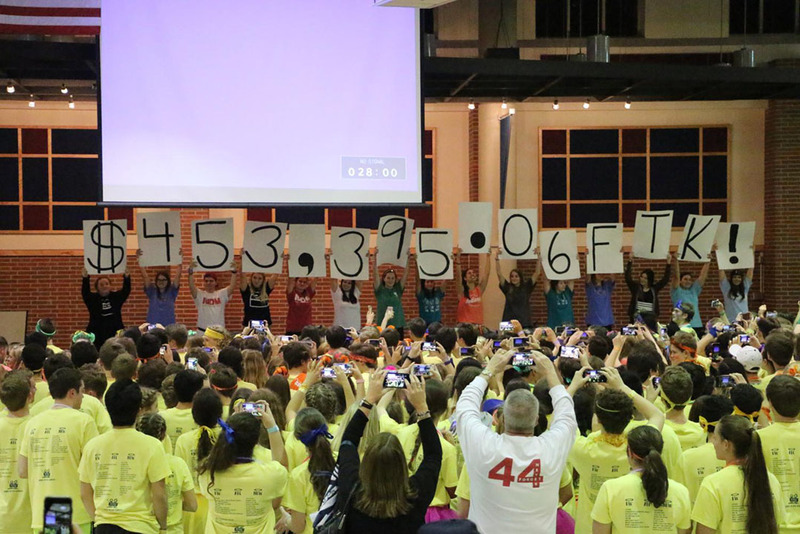 Participants celebrate raising hundreds of thousands of dollars for Dance Marathon. 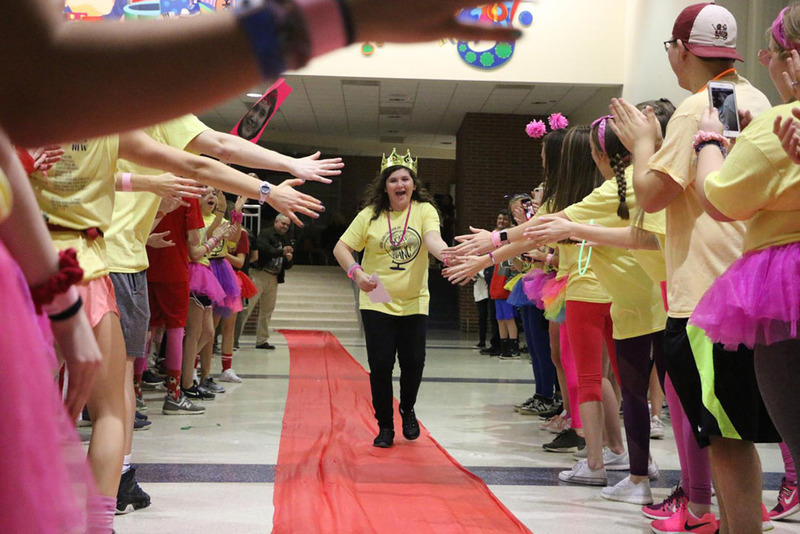 CHS students show support for senior Bella Simons, who spoke at the event about having two brain surgeries at Riley.